Frame of Mine Next to Go? Frame of Mine’s lease on its space at 522 8th Street, SE, will not be renewed when it expires in September, according to sources. Building owner Larry Quillian is reportedly seeking a restaurant to occupy the space. 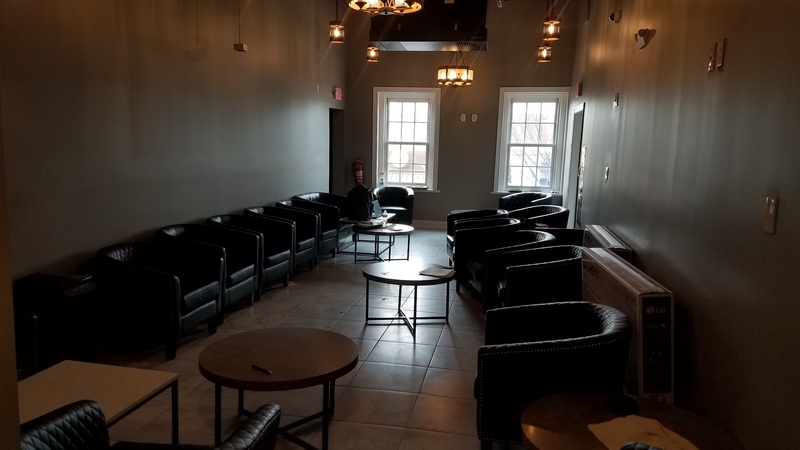 If Qullian’s quest is successful, it will be the second popular retail space on 8th Street to be displaced by a food and drink establishment so far this year. Earlier this month, restaurateur Aaron Silverman announced plans to open a companion restaurant to Rose’s Luxury in the space next door to Rose’s, currently occupied by Homebody. 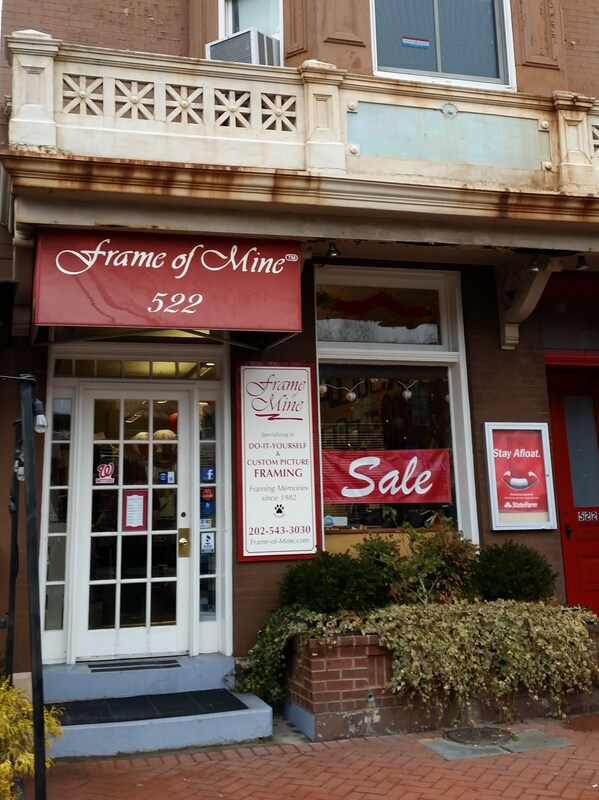 Frame of Mine, a family owned retail shop on Barrack Row since 1982, hopes to stay on 8th Street, but so far has not found a location to serve its needs. 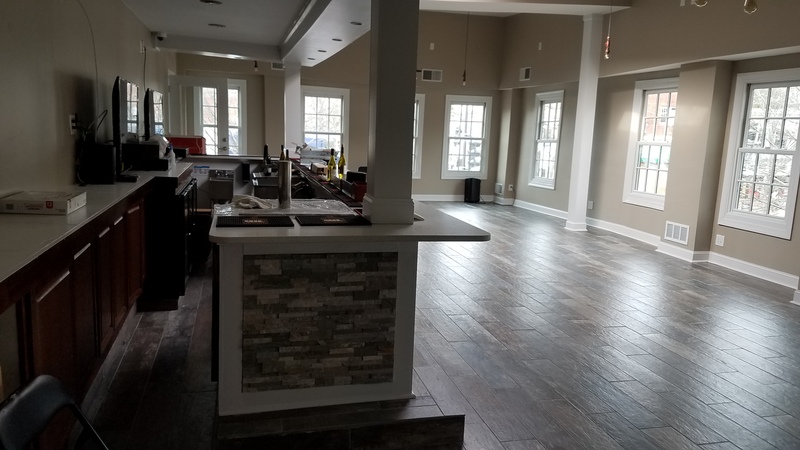 Barracks Row Main Street is working with owner Cissy Webb find the right space for the business to move to at the end of their lease. Quillian owns other properties nearby, including Mr. Henry’s and the vacant lots surrounding 1230 Pennsylvania Avenue, SE, currently leased to Frager’s for their temporary garden and landscaping business. Frager’s closed their temporary location across from Eastern Market last month, after the Hine project got the go ahead from federal court and the developer announced remediation of the building would begin in March. I know landlords are in the business of owning properties to make money. And while no one wants to see them take a loss, how sad that someone who has been a tenant (and one assumes a good and loyal one) for 33 years suddenly gets the boot because a higher rent can be extracted from another business (the sort of which there is a total excess). You can’t expect the the Larry Quillians (and whomever owns the space Homebody has occupied for so many special years) of this world to put a little something back into a community that has allowed them to prosper – but how nice, not to say magnanimous, that would be! I could not agree more with you Maggie! Yes, it is sad and disappointing that Frame of Mine with close/move. I lament that Homebody will no longer be here also. Is Larry Quillian a DC resident of Ward 6? If not, where is he registered to vote? If he has children, what schools do they attend? The best way to keep retail establishments in the neighborhood is to shop at neighborhood establishments. Restaurants can’t be outsourced to the likes of Amazon, but frames are plentiful online. Similarly, it’s only a 10 minute drive to Potomac Yard or Pentagon City, but it takes your money to a completely different state and does nothing to preserve the character and unique nature of Capitol Hill. prepurchased frames and other goods may be purchased on line, but custom professional matting and framing is another thing altogether. I’m sure someone offers this SERVICE online, but I can’t imagine it beats a quality local provider anything but maybe price. If you want additional options for retail we need more density on the hill. Stores thrive in areas where they have built-in customers. Restaurants are our destination driven and pull from customers from outside the Hill. another reason we see a lot of restaurants coming to the hell is that a restaurant business model can thrive and a small building because their Profit per square foot is much higher. If you want to balance the number of restaurants coming into the neighborhood with increased retail opportunity we need greater density and larger buildings with bigger retail footprints. Unfortunately I don’t see that happening anytime soon. it’s hard to believe that if I wanted to go out and buy a pair socks right now I’d have to either drive out to Pentagon city or DC USA . The problem is not lack of shoppers – it’s lack of landlords prepared to get a lower rent so a retailer can set up shop! Why is the onus on the landlord to make a specific small business profitable? If the small business person cannot handle the cost of doing business then they either need to find a new business, increase revenue, or cut costs. Landlords aren’t charities and –if you asked them– neither are the small businesses owners to whom they rent space. more density also means more demand for food and drink. you see how that works? Completely agree with you, DCFYI. Quillen has lived on the Hill longer than any of you commenting, has restored lots of dilapidated buildings on the Hill over those years and has fostered new businesses while raising a family on the Hill. He has always been low-key but also has contributed much over the last more than 40 years on the Hill. That does not mean that he couldn’t do more, or that he could do better, but there is more here than meets the eye. That said, it is very sad that Homebody is shutting down (although looking for a place) just like Frame of Mine (also looking), two businesses that have enough customers to survive under normal conditions, it appears. It should be mentioned however, that Frame of Mine, has known for more than a year that the rents were rising, and have been looking for a suitable location to go to (so it is not sudden). Speaking of Quillian’s pouring energy into the neighborhood, Quillian is leasing the 1200 block of Pennsylvania Ave to Frager’s for $1 / year. Hardly a cold, heartless, and indifferent meany-head with no consideration for neighborhood businesses and neighborhood people. Quillian was also one of the KEY players in 8th Street’s comeback (remember the heroin users?) and his daughter serves on the Barracks Row Main Street board. The whole Quillian family is active on Capitol Hill in quiet but vitally important ways. This on-going villification of Larry Quillian (especially for the shotgun house situation which is a direct result of the Restoration Society’s ideological rigidity) is just crazy. He’s a quirky guy but Capitol Hill is a much, much, much better place for his energy, knowledge, and entrepreneurial initiative. Thanks, Mr. Quillian, and keep up the good work. I don’t know that the CHRS is ideologically rigid. They are certainly ideologically consistent, though! CHRS is not exactly covering itself in glory as it continues to play a leading role in blocking the demolition of the dangerous facade (burned out, not supported, etc.) of the Frager’s store on PA Ave. Without preservationists’ childish tantrums about taking down that structure, we would be close to a new and better Frager’s building plus new housing stock on that key parcel. 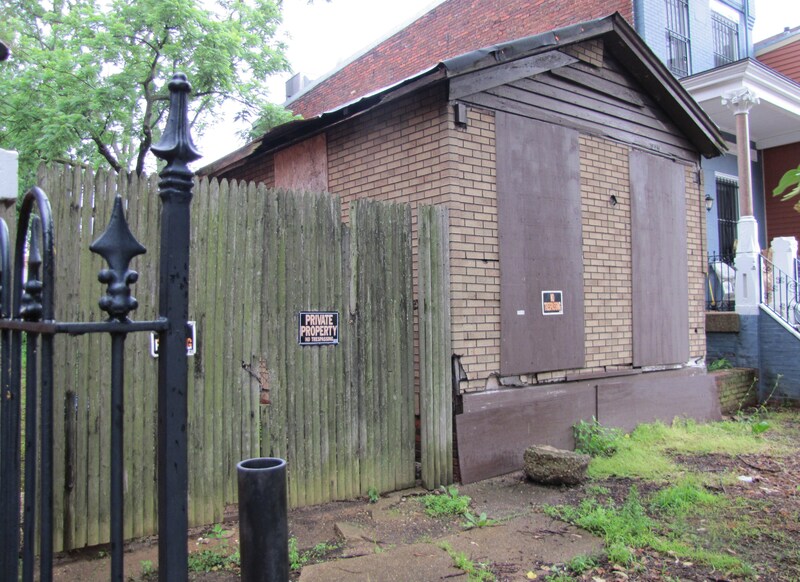 If you net it all out, if you want to make a case for the the Restoraction Society’s ideological consistency veering into obtuse rigidity and “dog in the manger” selfishness, the shotgun house and the Frager’s facade are mighty good places to start. I’m frankly surprised the editor approved a comment about “childish” tantrums. Yes, let’s “net it all out” Peter Kateman, who doesn’t exist. I guess, when you really look at it, if you weigh the damage inflicted by the CHRS or new urbanists, it would be tough to balance. Streetcars or shotgun? Gentrification & looting of city resources via Hine, or gentrification and looting of residents via historical regulation? Tough call! But if you looked to the rest of Capitol Hill, the sensible people who are not the current expression of the Chamber of Commerce & real estate agents, they would probably say they want more retail on Barracks Row. And I’m wondering why this ANC hasn’t instituted a retail plan, as they did on 14th Street, to protect local retail. Could it be that our local political machine has gone without accountability? Just wondering, as real person, publishing under my real name. 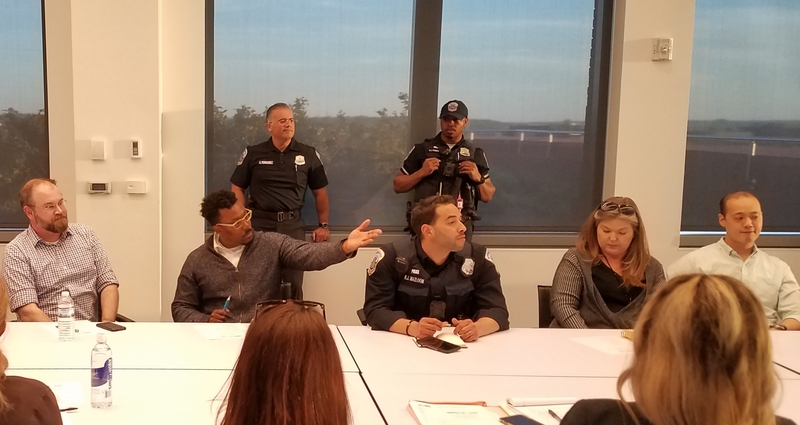 I understand that in other neighborhoods, such as Georgetown and Glover Park, the Alcohol and Beverage Control Board has defined ABC moratorium zones which can limit the number of alcoholic beverages licenses issued. If my memory serves me correctly, when 8th Street was beginning to have new restaurants, our ANC voted not to have a moratorium on the number of liquor licenses. Barracks Row can now become Restaurant Row as a result. Here is how I think it works: If an establishment can have a liquor license, the landlord can charge significantly more per square foot, making the rent so high that small retail stores have no choice but to leave. Bars can afford the rent. However, if the ABC Board only permits so many liquor licenses in the zone, landlords may have to settle for retail and lower rents. Is it too late to seek a moratorium on liquor licenses? I really don’t know but I does seem that it is a mechanism that other neighborhoods have used in the past to make room for retail. I don’t pretend to be an expert on Alcohol and Beverage Control Regulations, but if in fact Capitol Hill really doesn’t want ” Restaurant Row” on 8th Street, then perhaps the current ANC could revisit the possibility of establishing s moratorium on liquor licenses for Barracks Row. Well said, Mary Weirich. 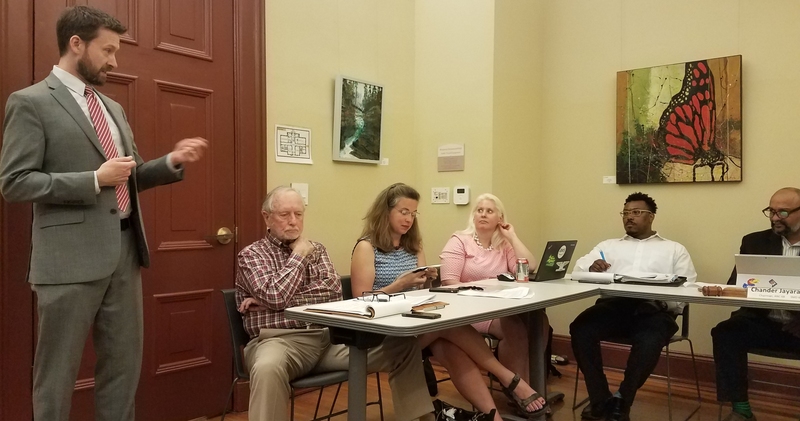 That was going to be my next point: ie if Barracks Row can slap a ‘ban’ on fast-food establishments, they can also say: enough is enough, as far as restaurants, full stop, go. they can slap a “ban” on it, but can they actually enforce it? ANC6B is already knee deep exceptions – overt – like Chipotle, &Pizza and subtle like DC3, District Taco, Good Stuff, etc. Well, the places paying the highest rent and on 8th don’t have liquor licenses so it is not that simple. The extensive testimony received last time this was investigated suggested that the principal outcome of a moratorium would be greater value / rents on this places with licenses but still not more retail. It’s not really ABRA, It’s defined in a neighborhood retail commercial overlay zone. There is one for 8th St. SE, 11-1310, and it specifies that no more than 50% of the linear facade length of the street can be restaurants. Unfortunately I think the tipping point for pure retail on 8th has long since passed. Pure retail is dead for 8th it is just too expensive without either a liquor license or so much foot traffic to make up the difference. Places like Capital Teas, the Verizon, and Sweet Lobby may sell products but other than the Verizon, I really don’t consider the other two pure retail either. It is a shame but I like to buy local and did buy things at Homebody but can only buy so much. Now there aren’t going to be places to buy local. Sure more density may have helped but I suspect that hand in hand with increased people would be even higher rents.